Need to get to campus in less than five minutes? You can either ride your bike, walk or drive as it is only 1 mile away! 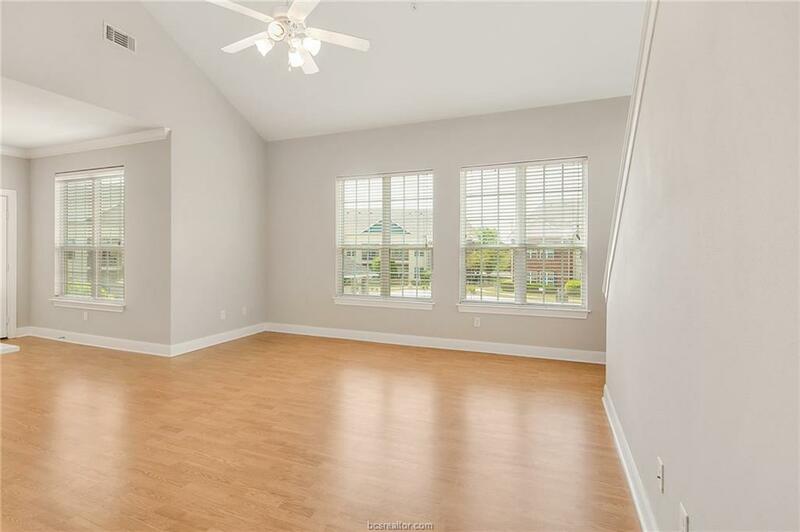 Your options are endless living in this gated community! 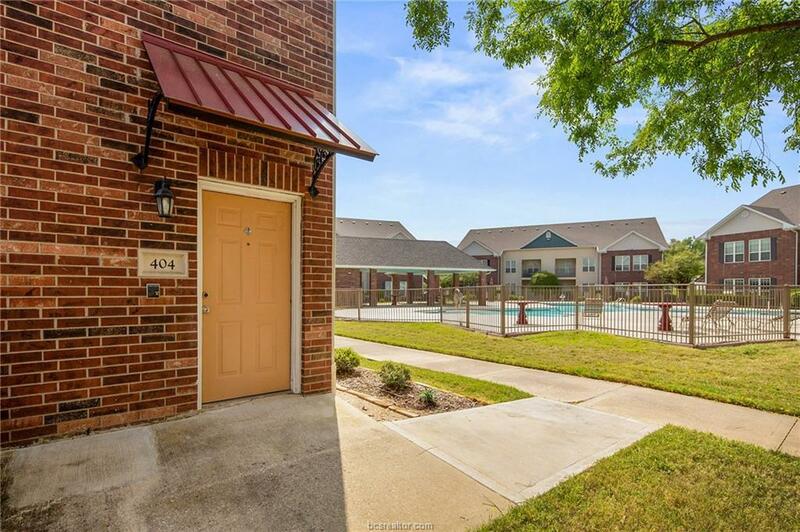 This completely repainted, clean, corner unit features an abundance of windows with a great view of the pool, a spilt bedroom floorpan, vaulted ceilings, and a huge entertainment center! The kitchen also features an eating bar and a great amount of countertops and cabinet space! Each spacious bedroom in the unit features its own bathroom with granite countertops and huge walk in closet. One bathroom having access from both the bedroom and hallway off of the kitchen it is perfect for any guests too! 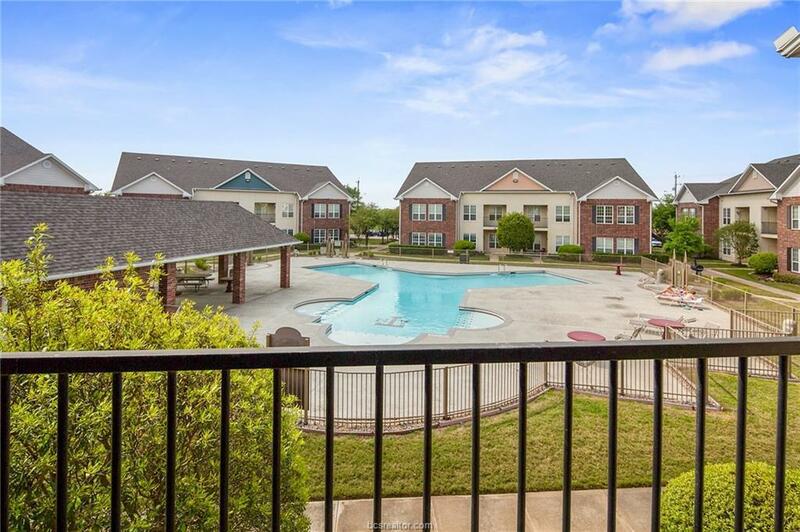 This community offers great amenities with a bus stop at the entrance, assigned parking, sand volleyball, and an awesome community pool! 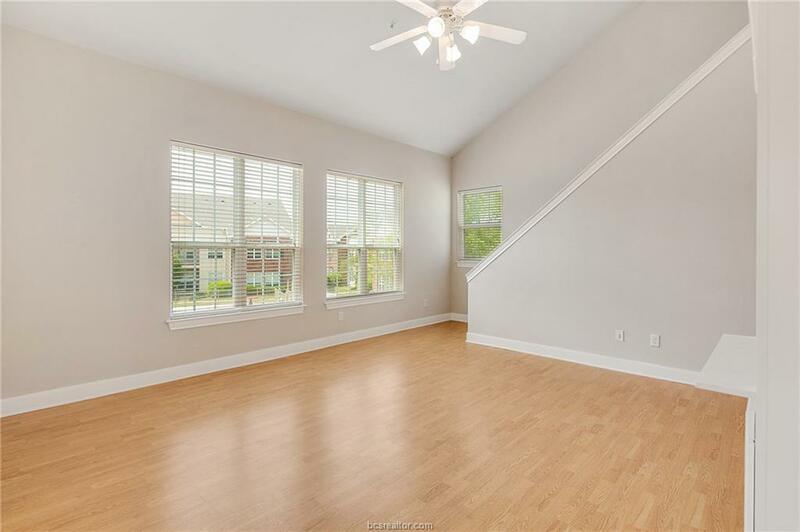 Checkout the 3D Matterport tour to get a great view of this condo!